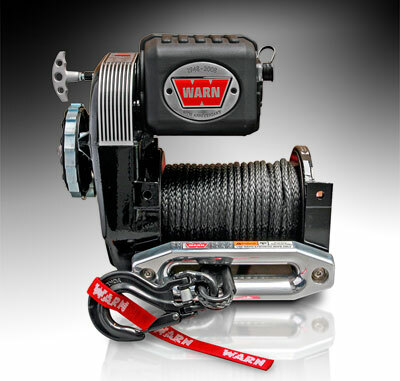 The history of the WARN M8274 winch | WARN Industries | Go Prepared. 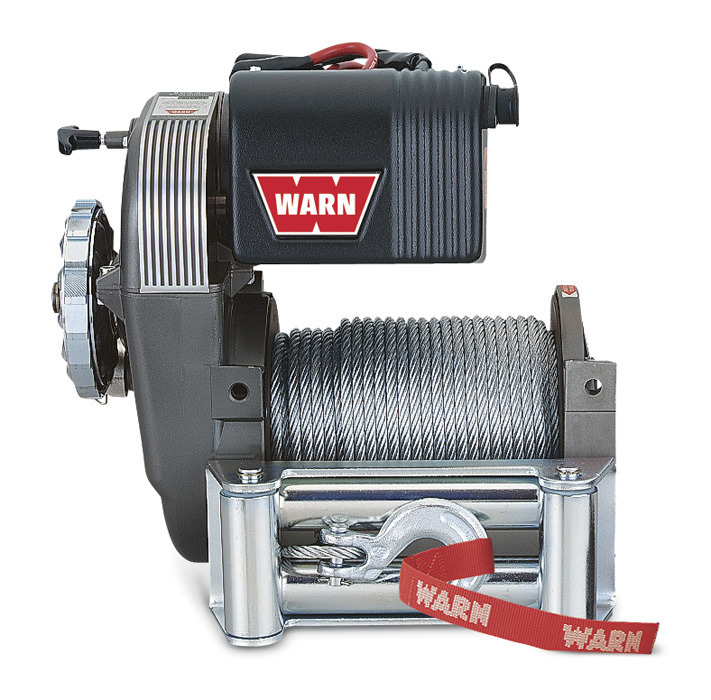 The WARN M8274 is probably the best-known and most recognized winch Warn Industries makes. Introduced in 1974, it replaced the original Belleview winch that was made from 1959-1973. The M8274 has remained basically unchanged since '74, with only minor tweaks including upgraded electrics throughout the years, and a few cosmetic revisions. In 1998, to celebrate Warn Industries' 50th anniversary, the name was changed to M8274-50, and there were some slight cosmetic changes. In 2008, to celebrate the company's 60th anniversary, a limited-edition M8274-60 was offered, each individually numbered, equipped with synthetic rope, painted black, and shipped in a special wooden crate. By the way, have you ever wondered what M8274 stood for? The M stands for "model," 8 is for its 8,000 lb. capacity, 2 is for "two-way" (freespool and power-in), and 74 is the year it was introduced. Since the M8274 has been around for nearly 40 years, there are quite a few of them out there, many still performing regular recovery duty. We get a fair amount of requests to identify how old a specific M8274 is. Here's a way to identify them up until about the early 1990s. On the top of the upper housing there will be a code with two letters and a number. For example, we'll use FB6. The second letter stands for the working day of the month, not including Saturdays or Sundays. Our example says "B," which would be the second working day of the month. 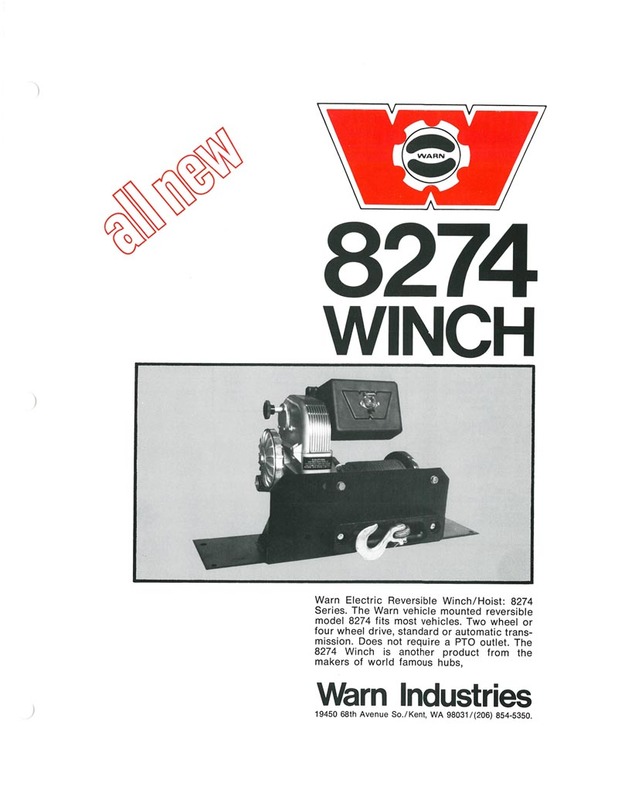 The ending number represents the year the winch was made during the '70s or '80s. In this example, it's 6, so that'd be '76 or '86. (Remember, M8274 production started in '74 and this coding system stopped in the early 1990s, after that, Warn used serial numbers.) Beginning in about 1980, Warn switched from a metal socket on the control pack to a plastic socket. 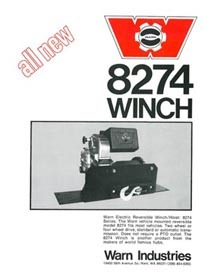 So, depending on which one your winch has would determine which year your M8274 was manufactured. So an M8274 with the code FB6 and a metal socket on the control box would've been made in June of 1976 on the second working day of the month. 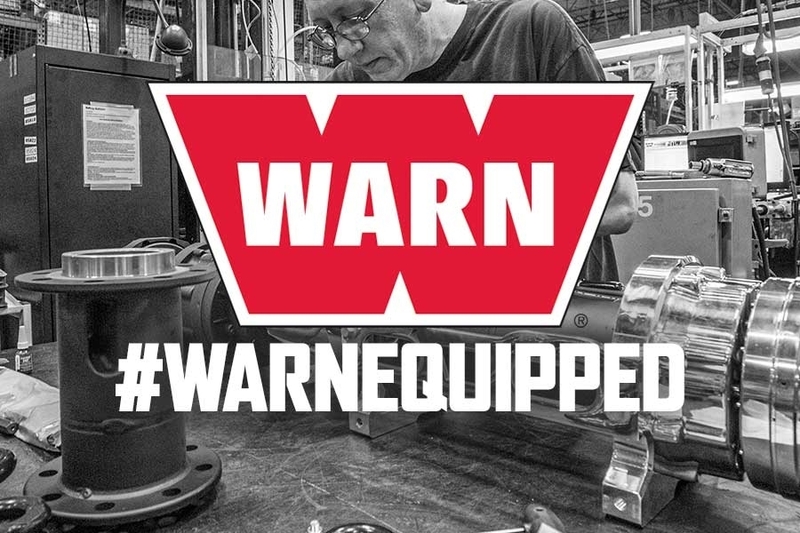 A big thanks to the WARN Customer Service team for the information on decoding the older models. Here are a few photos of M8274s through the years.